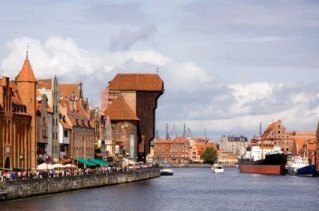 Tri-city tour - Polish Tours & Travel Agency - Greetings from Poland! waterfront canal with The Crane – the biggest crane of medieval Europe. Price includes: Tri city tour, guided by an English, German, Italian, French speaking guide according to the tour program, transfers by car / bus according to the tour program. Additional info: tours organized daily, entrance tickets excluded.